We help to treat and prevent five debilitating diseases that affect more than a billion people. 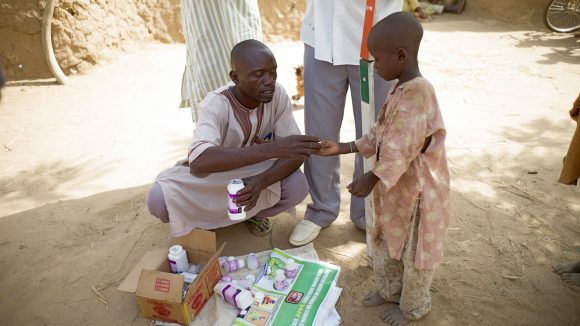 These parasitic and bacterial infections are known as neglected tropical diseases (NTDs). 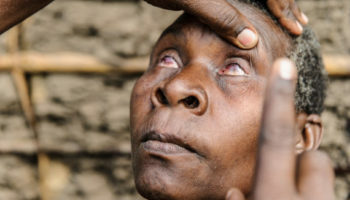 Neglected tropical diseases are a major cause of preventable blindness. 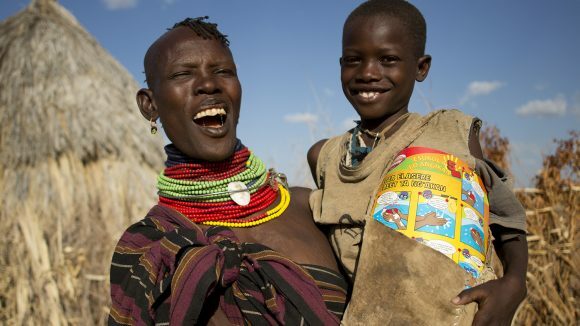 They are most prevalent in rural regions, poor urban areas and conflict zones. The diseases affect more than a billion people worldwide, and can cause severe and lifelong impairment. Yet these diseases can be prevented, treated and eliminated. 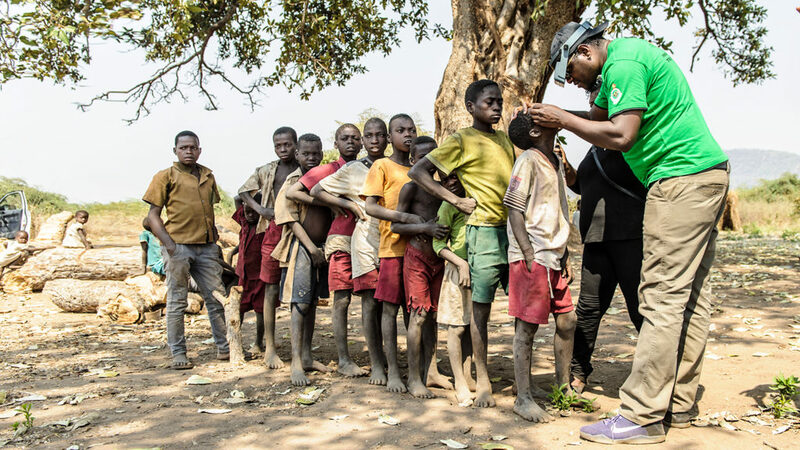 Sightsavers works with thousands of local volunteers to distribute millions of donated treatments to protect people against NTDs, and teach them about the importance of good hygiene to prevent infection. 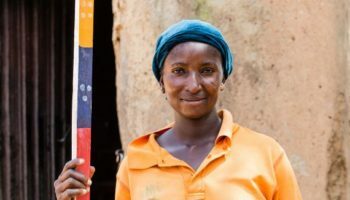 Here you can find out more about the five neglected tropical diseases that Sightsavers works to treat and prevent (two of which are blinding, and three that are non-blinding), as well as the progress being made to combat them and, in some cases, eliminate them completely. We’re on a mission to stamp out the disease by 2025, but we need your help to banish it for good. This infection can cause the eyelashes to turn inwards so they scrape on the eye. 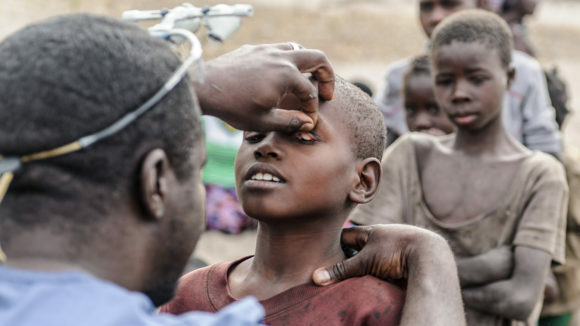 We distribute preventative medication and offer surgery for advanced trachoma. This parasitic infection is spread by flies that live near fast-flowing rivers. It causes irreversible blindness, but can be treated with antibiotics to stop it spreading. This disease, transmitted by mosquito, leads to painful disfigurement and abnormally enlarged body parts. Medication can protect people in high-risk areas. Intestinal worms live in the digestive system, causing malnourishment and leaving people susceptible to illness. 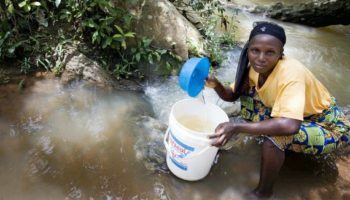 Good hygiene can stop the disease spreading. 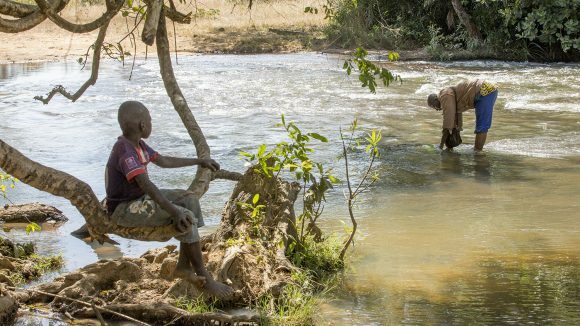 Known as ‘snail fever’, schistosomiasis can lead to pain, diarrhoea and even death. 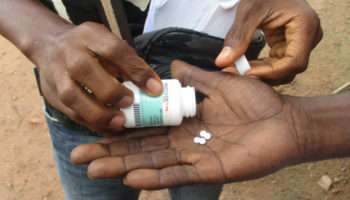 We help to treat school children and at-risk adults by providing medication. 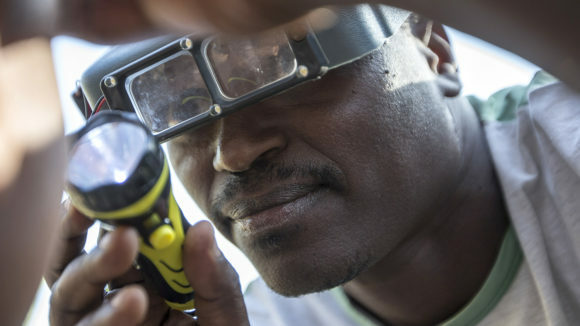 Sightsavers and partners have reached a historic milestone in the fight against neglected tropical diseases, with the billionth treatment delivered in 2017. 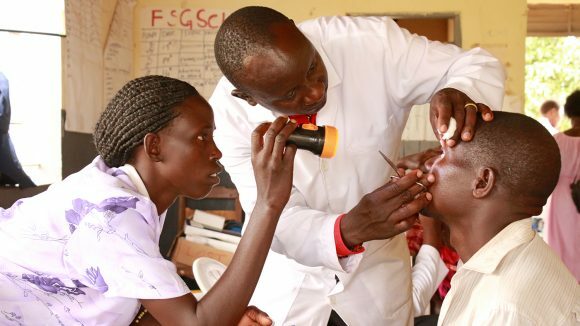 Accelerate aims to eliminate trachoma in at least 10 countries and speed up progress in several others by 2023. This project, in Nigeria, Ethiopia, Kenya and Zambia, introduces five superhero cartoon characters to encourage school children to wash their hands and face. 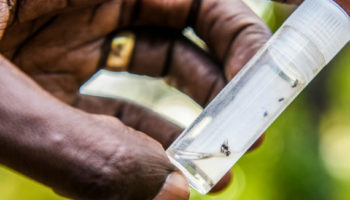 We’re working with our partners in Ghana and Nigeria to devise new ways to collect valuable data about river blindness. 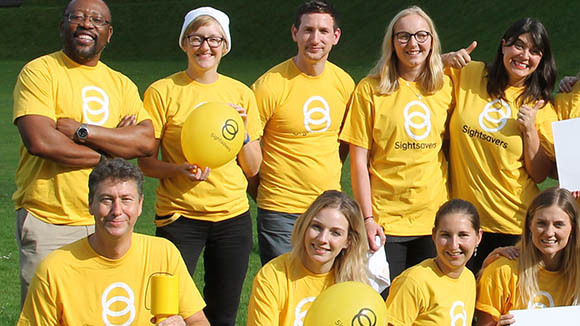 The SAFE strategy aims to control the spread of blinding trachoma via surgery, antibiotics, facial cleanliness and environmental improvements. 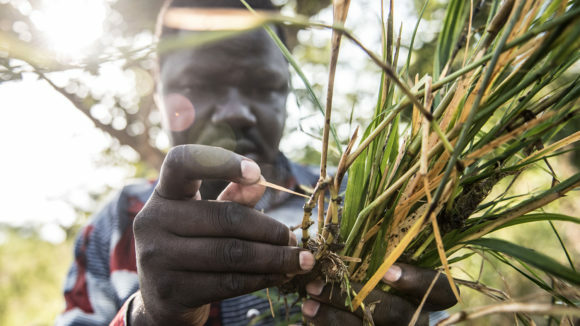 River blindness and lymphatic filariasis are debilitating diseases caused by parasitic infections. But both can be treated using the same medication. 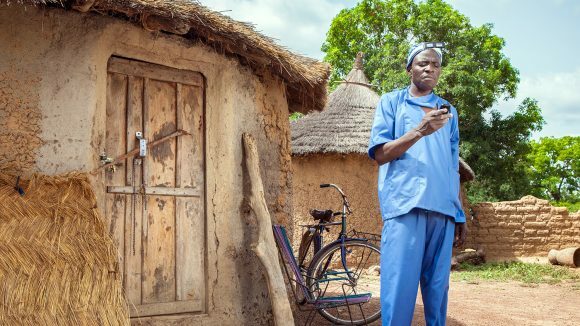 mHealth, which stands for ‘mobile health’, involves using mobile phones to collect data and provide training during global health programmes. 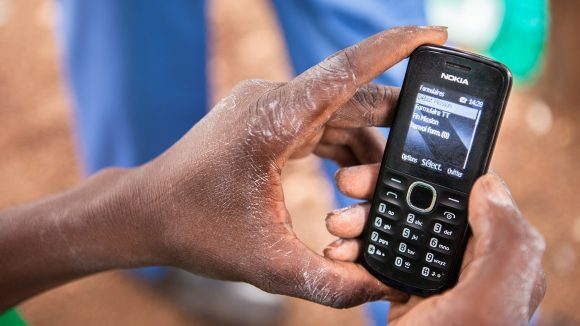 This large-scale project uses smartphones to gather data for targeting trachoma treatment as part of the global fight towards trachoma elimination. 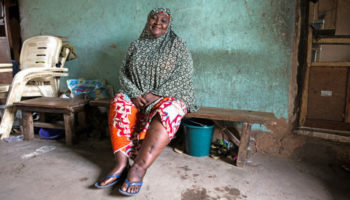 The UNITED project, funded by UK aid, aims to deliver 116 million treatments in Nigeria to tackle neglected tropical diseases.